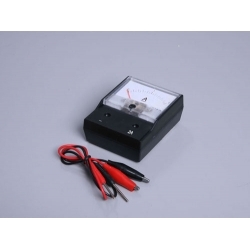 Ammeter is intended for measuring direct current during laboratory operations. A general purpose ammeter with a full-scale accuracy of ±2.5%. Range: 0-6V. 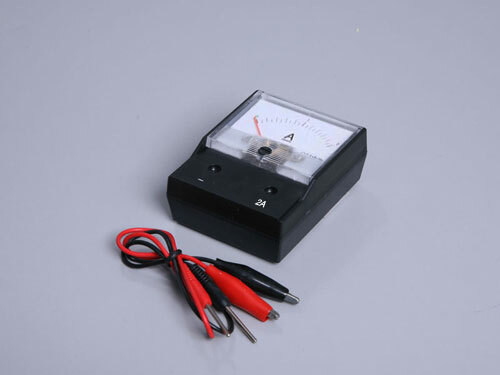 Voltmeter is intended for measuring direct current within the limits 0-6V. The meter has two plugholes. This economical, student amp meter, with sealed back cover, offers reliability, ruggedness, and affordability all in one unit. The meter is housed in a durable black plastic case measuring 13.8 cm x 10.0 cm x 9.8 cm. The large (9.5 cm x 8.1 cm) clear plastic meter face is designed for easy viewing and has an external zero adjustment, versatile binding posts. Accuracy ±2.5% of full scale.